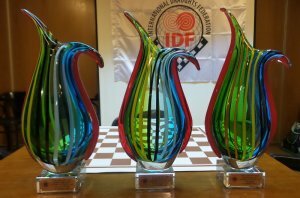 International Draughts Federation together with Portuguese Draughts Federation in accordance with the calendar of the competitions 2017 conducted from 3rd June (arrival day) to 10 June (departure day) 2017 in Albufeira (Portugal) 1st Stage of World Cup 2017 in draughts-64-International competition “Portugal-2017”. Match Portugal against the whole world won the team of the world. Tiago Manuel won Rapid. Dmitry Tsinman won Blitz. Arunas Norvaisas won Classic program. See results. An interview of International Grandmaster Dmitry Tsinman on the results of the first stage of the World Cup published. 16-06-2017 June 15, 2017 International Grandmaster Dmitry Tsinman became a guest of the program “New Morning” on the “Efir” TV channel and gave an interview on the results of the first stage of the World Cup, which was held in Albufeira (Portugal) from June 3 to June 10, 2017. Standings in the World Cup 2017 after the 1st Stage published. 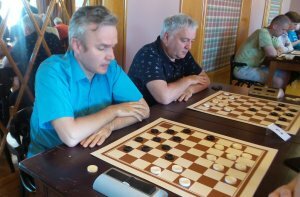 09-06-2017 The 1st Stage of World Cup 2017 in draughts-64 is completed. The winner of the Classic program became International Grandmaster from Lithuania Arunas Norvaishas, ​​who played in the 7th round a draw with Dmitry Tsinman and scored 11 points. Five participants scored 10 points each. The best coefficient put Vladimir Skrabov on second place. Dmitry Tsinman is the third. Andrey Gnelitskiy, Michael Semianiuk and Dmitry Melnikov took 4, 5, 6 places respectively. International Grandmaster Zhanna Sarshaeva became the first among women. Svetlana Streltsova took second place and Arina Lushnikova took third place. 08-06-2017 Three rounds are held today. After six rounds with the result of 10 points, the single leader is Arunas Norvayshas, who won in the sixth round of Andrey Gnelitskiy. Vladimir Skrabov, Michael Semianiuk and Dmitry Tsinman have 9 points each and are fighting for prizes. 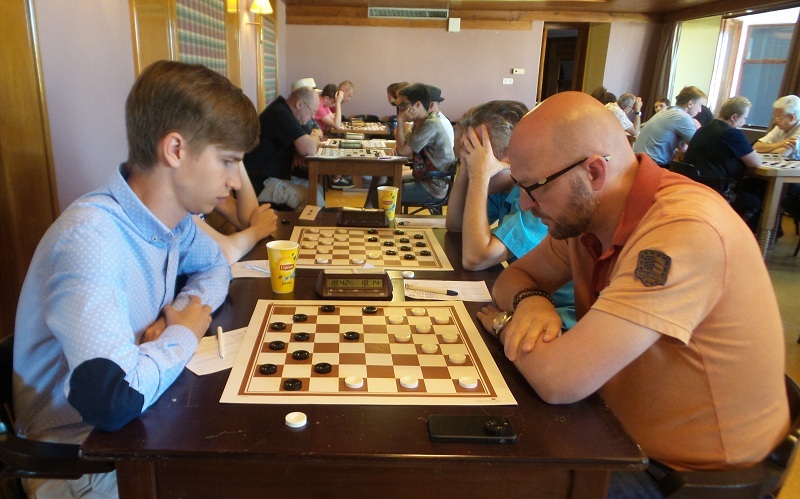 After the fourth round with a score of 7 points, four sportsmen are in the lead group: Vladimir Skrabov and Andrey Gnelitsky, who played in a draw, Arunas Norvaishas and Dmitry Tsinman who won against Michael Semianiuk and Dmitrii Abaranov respectively. 07-06-2017 Classic program in Russian draughts started today. 27 players from Portugal, Angola, Russia, Belarus, Lithuania, Germany, Poland and Israel take part in the competitions. Competitions are held on the Swiss system in 7 rounds. Three rounds are held today. See current results. After three rounds with a 100% result, international grandmaster Vladimir Skrabov and international master Andrey Gnelitskiy are ahead. They will be able to determine the strongest in a personal meeting in the 4th round. 06-06-2017 Blitz in Brazilian draughts was held today. 28 players from Portugal, Angola, Russia, Belarus, Lithuania, Germany, Poland and Israel took part in the competitions. 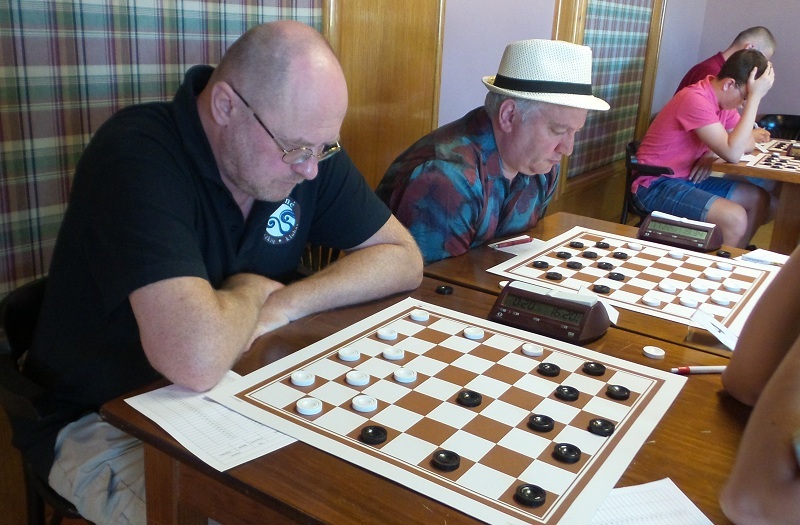 Competitions were held on the Swiss system in 7 rounds, micro-matches from two games. Dmitry Tsinman won Blitz. Vladimir Skrabov took second place and Gennady Shapiro took third place. See results. 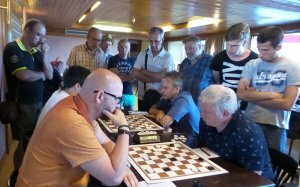 05-06-2017 Rapid in Portuguese draughts was held today. 31 players from Portugal, Morocco, Angola, Russia, Belarus, Lithuania, Germany and Israel took part in the competitions. Competitions were held on the Swiss system in 7 rounds, micro-matches from two games. The winner of the Rapid became the multiple champion of Portugal Tiago Manuel. On second place is the legend of Portuguese draughts Manuel Vaz Vieira, Portuguese player Jose Carlos Anjos is on the third place. 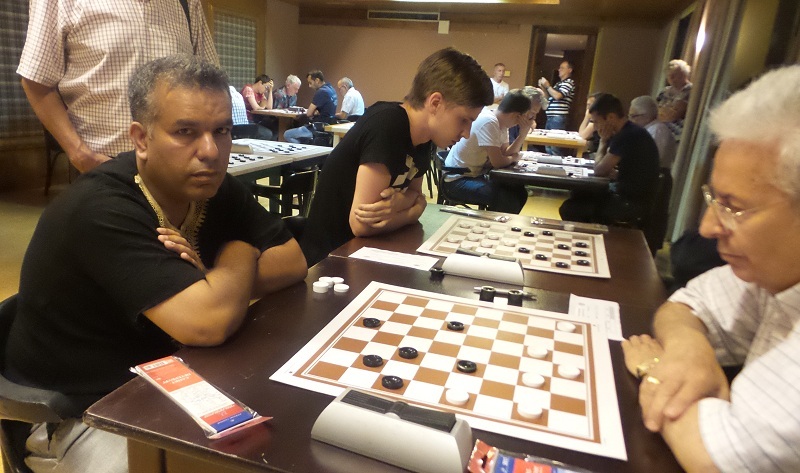 The best foreign player is Saint-Petersburg grandmaster Dmitry Abaranov, who took the fourth place in the standings. 04-06-2017 The 1st stage of the World Cup 2017 started today. 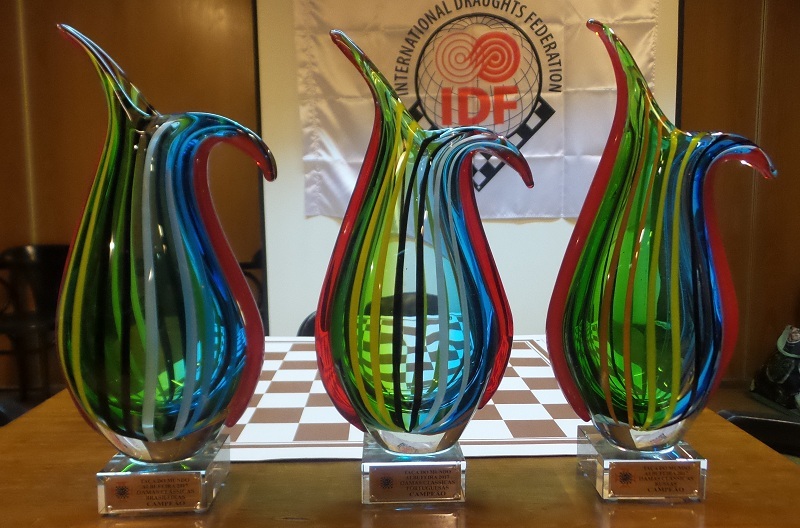 At the opening of the competition IDF president Vladimir Langin presented official awards prepared in honor of the IDF’s 5-year anniversary. The president of the Portuguese Draughts Federation Arlindo Roda was awarded an honorary badge and a diploma for his great contribution to the development of draughts-64 in Portugal and around the world, the international grandmaster from Portugal Manuel Vaz Vieira received the “International Grandmaster” badge. 1st Stage of World Cup 2017 in draughts-64-International competition “Portugal-2017” from 3rd June (arrival day) to 10 June (departure day) 2017. Competition will be held at the Hotel Da Aldeia, Avenida Dr. Francisco Sá Carneiro – Areias de São João – Albufeira, from 3rd June (arrival day) to 10 June (departure day) 2017. 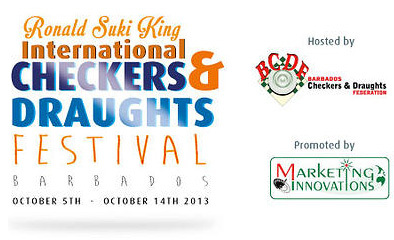 Credentials Committee will work 3rd June from 19.00 till 22.00. Blitz and Classic game will be held by the system of micro-matches consist of two games with the drawing according to the official table. Rapid will be held on own regulations. 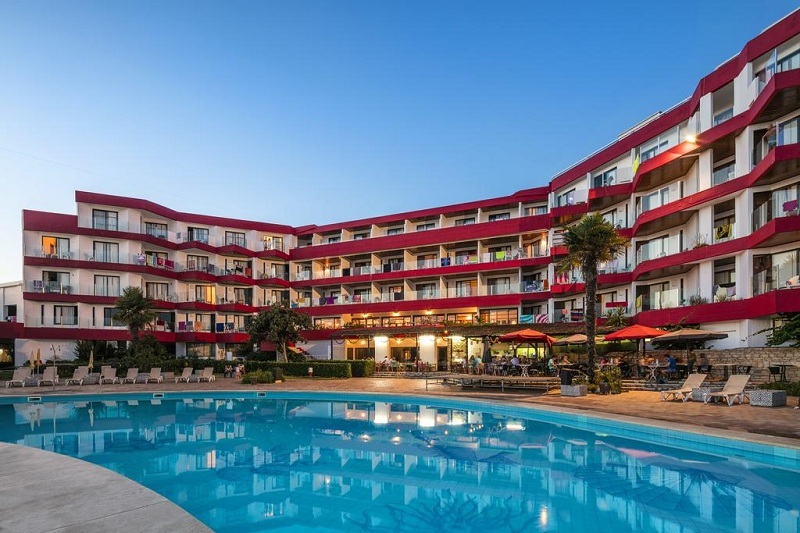 Accommodation is available in the Hotel Da Aldeia, Avenida Dr. Francisco Sá Carneiro – Areias de São João – Albufeira or in different hotels of the Albufeira. 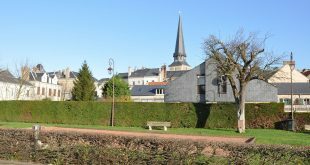 Costs of accommodation, meals and travel of participants are paid by their sending organizations or at their own expenses.